As a journalism student, history was never my biggest focus. That being said, my sophomore year I took a class that I'll always remember. “Europe Since 1500” was one of the most interesting and enjoyable classes ever. The professor told the class like a long story, every class was a different chapter and it immediately drew me in. I learned so much, and was so impressed with the class I still find myself talking about it. Also, the two taco combo at Salsarita's will always hold a special place in my heart. As a student I was not involved with any on-campus organizations but I did intern with a few media outlets off campus. It pushed me in the right direction. I was fortunate to go out into the "real world" with an idea of what to expect. Not everyone gets that out of college. 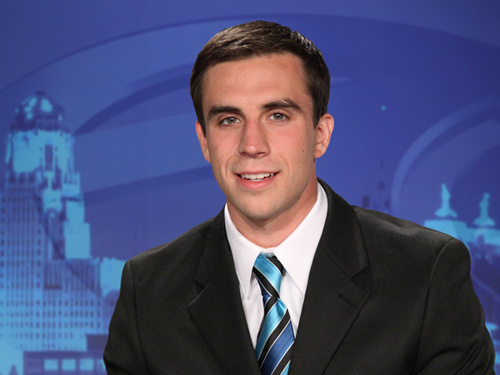 I was lucky enough to start working at WKBW my last semester at Buffalo State as a part time temporary show editor. Since, I've worked my way up the ladder and am now a Multi-Media Journalist-- which is just a fancy way of saying reporter. Go get an internship. Make sure you enjoy the field you're heading into. I'm lucky to have a job I love. If you can find the same thing, the passion and hard work will come naturally.